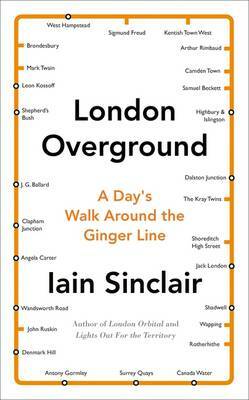 Iain Sinclair is the author of numerous works of fiction, poetry non-fiction, including Lud Heat; White Chappell, Scarlet Tracings; Downriver; Radon Daughters; Lights Out for the Territory; Rodinsky's Room, with Rachel Lichtenstein; Landor's Tower; London Orbital; Dining On Stones; Hackney, That Rose-Red Empire and Ghost Milk; American Smoke and London Overground. Downriver won the James Tait Black Memorial Prize and the Encore Award. He lives in Hackney, east London.